I love cooking up this little dish as its easy, fast and is also my daughters all time favorite food. 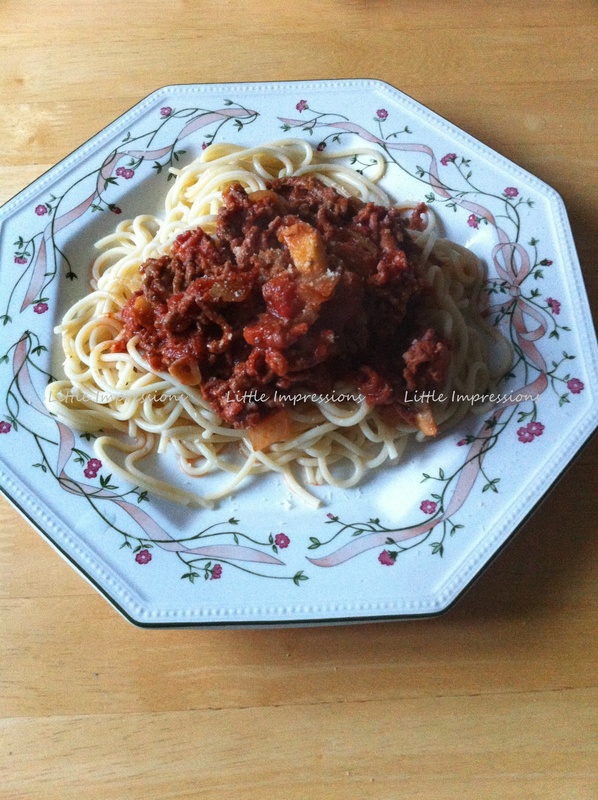 I hope to travel to Italy someday to try out the different Italian dishes and learn the ways they are cooked but until then this how I would make my Spaghetti Bolognese at home for the family. 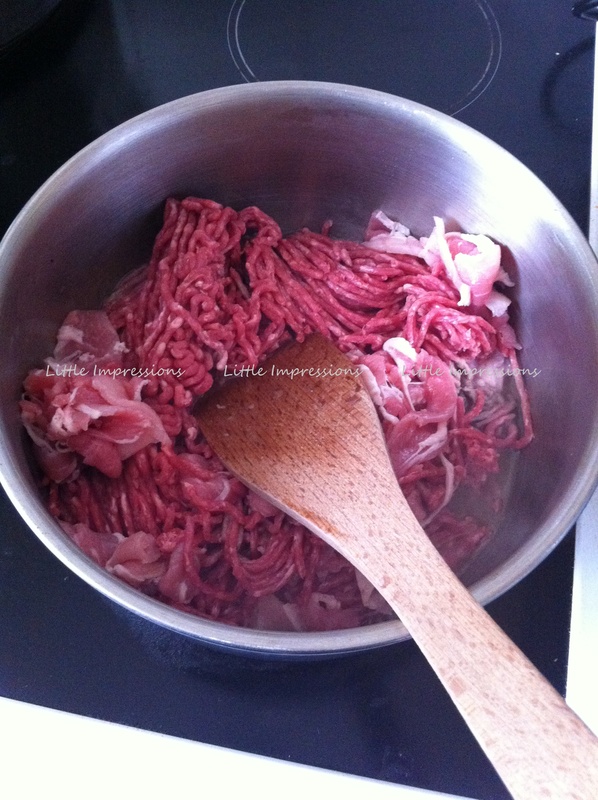 The First Thing I would do is to chop up my bacon slices then add a little oil to my pot and then I fry off the mince and bacon together. While the mince and bacon is cooking I then chop up the onion, mushrooms and garlic. Next I Take another pot and half fill it with water and then I put it on to heat ready for the dried spaghetti. 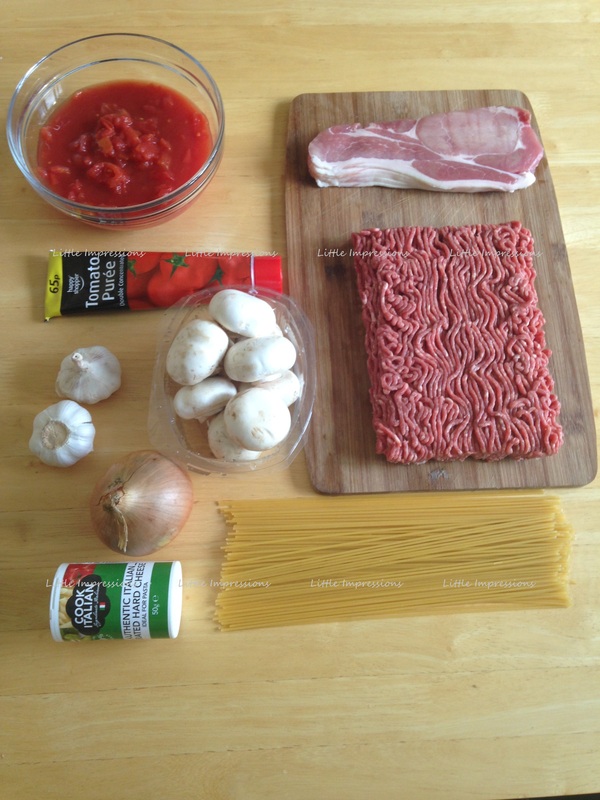 Once the mince and bacon is well cooked I then add in the onions, mushroom and garlic together. The next thing I would to is to place my dried spaghetti upright inside the pot of hot water and bring it to the boil, as I do that the spaghetti will start to soften and fall into the pot. When the onions, mushrooms and garlic have been frying for a few minutes I would then add in my chopped tomatoes and tomato puree. I used half of my tube but you can choose how much you need to use based on how thick you want your sauce to be. 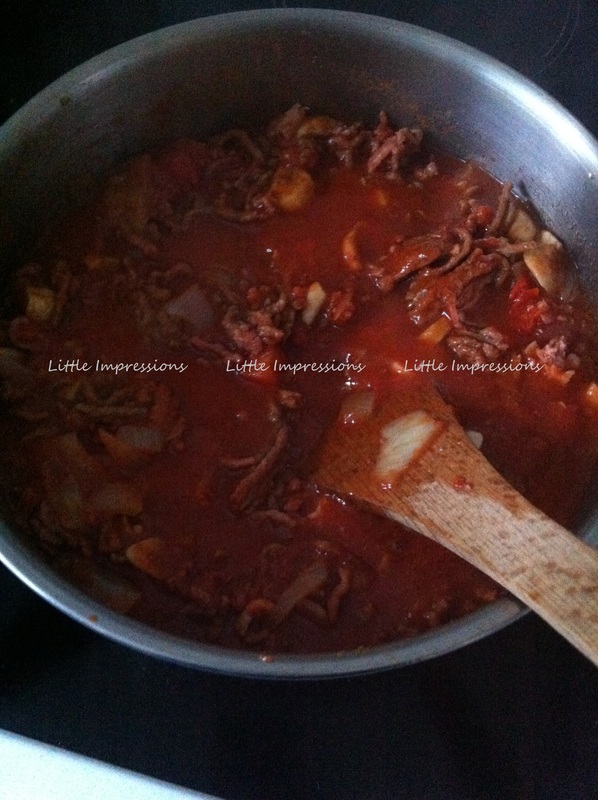 Let the sauce simmer for about 10 minutes and keep stirring it. At this point you can also add in things like chilli flakes or a dash of red wine but as this is being served to kids I’m keeping it fairly plain. Once the spaghetti is completely soft I then drain the water out of it. I would normally leave in the strainer about 5 minutes to make sure there is no excess water that will end up on your plate. 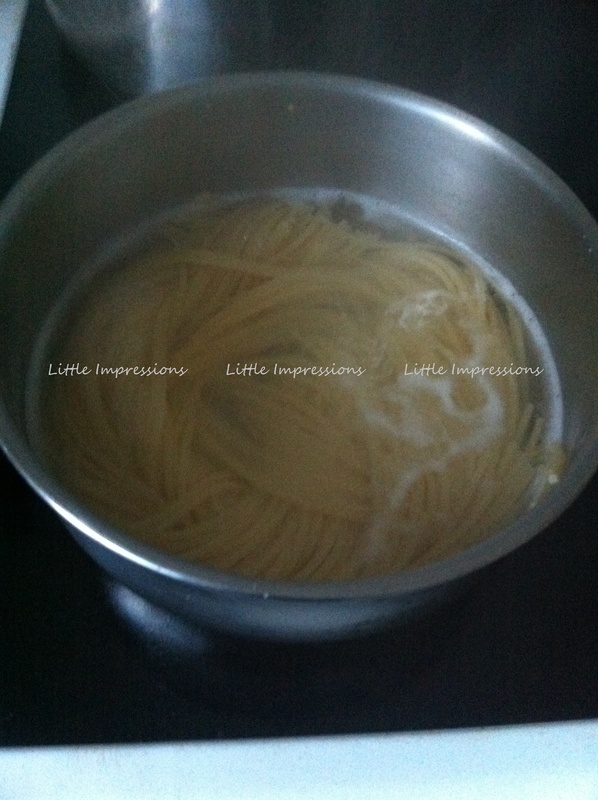 After the spaghetti is drained of the water I would then place it on the plates and when I am happy with my sauce which will be well cooked by now I then added the sauce in the middle of the spaghetti. The last thing I would do is to shake a little powered Hard Cheese on top for extra flavour. I also served this with warm fresh garlic bread and there was clean plates all round am glad to say.